Join us for Fit & Fly Girl Bali, which will be held August 4 - 11, 2018, at Bendega Villas, a private estate located in Canggu, Bali. The Retreat Host is Fit & Fly Girl Co-Founder, Rebecca Garland, and the Fitness Instructor is Amanda Kloots. Amanda, a celebrity fitness instructor, will be teaching her signature classes, The Rope and The Dance, which she offers at Studio B in New York City. The group will also be joined by Anna Kloots, a travel writer, photographer, and creator of Travel Outside the Box. Anna is a brand ambassador for We Are Travel Girls, a global travel community, which inspires women to travel. Fit & Fly Girl Bali guests will have a memento from the week with access to Anna's photography taken during the retreat. Bali is an Indonesian island in Southeast Asia. 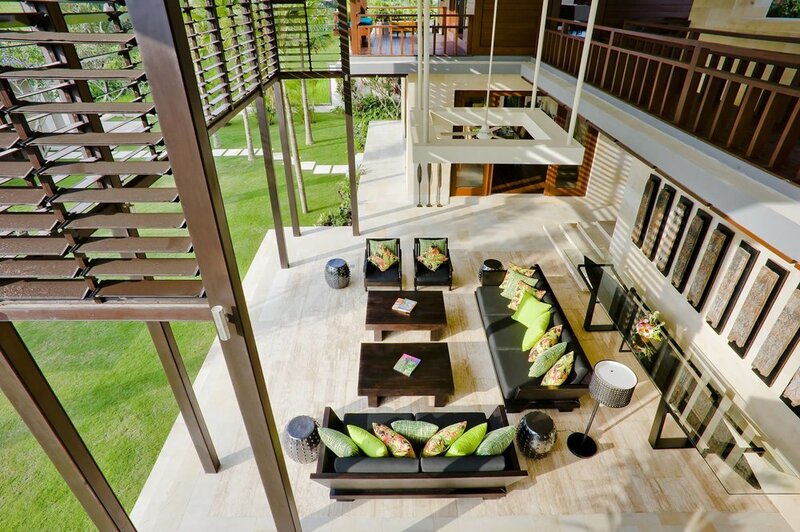 Fit & Fly Girl guests will be staying at an estate in the Canggu region of Bali. Canggu is a small beach village with a bohemian feel on Bali's southwest coast. 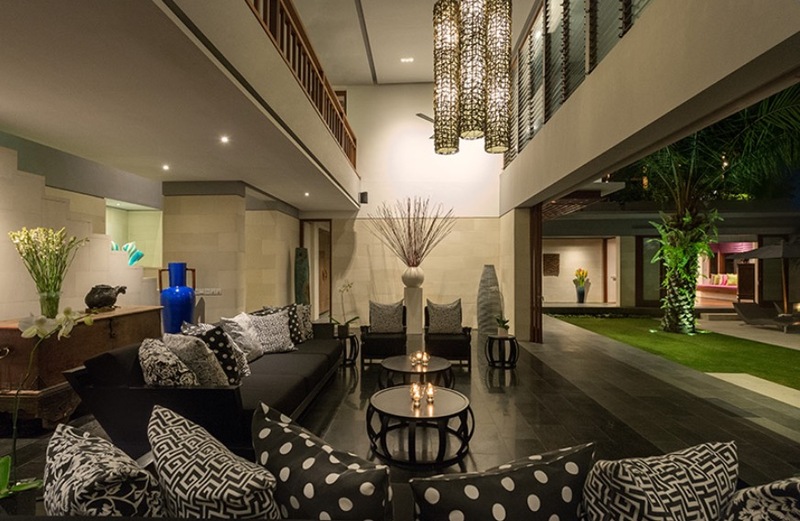 It is situated just 20 minutes from the chic town of Seminyak. Canggu is surrounded by terraced rice paddies and offers several nearby beaches as well as cafes, restaurants, and boutiques. Fit & Fly Girl guests will stay at Bendega Estate. 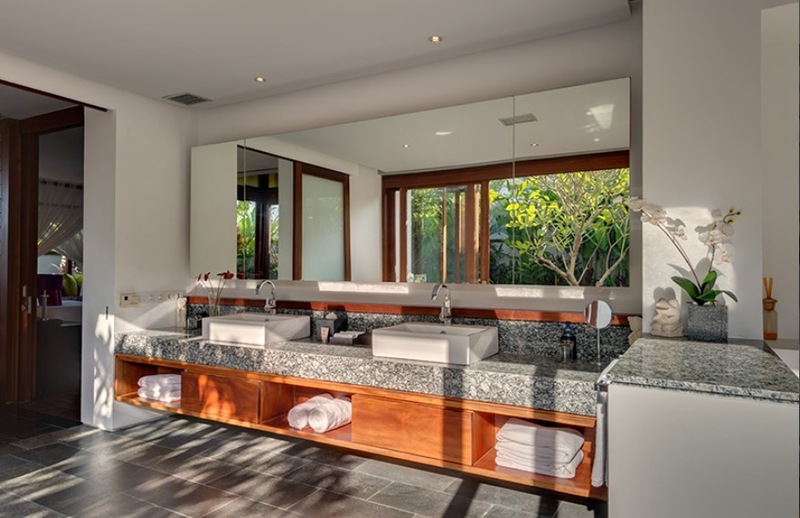 The nine-bedroom Bendega Estate is comprised of two contemporary villas located on the same property, five-bedroom Bendega Nui and three-bedroom Bendega Rato, as well as a separate, one-bedroom pavilion, which has its own private plunge pool. There are two other pools on the property, one at Bendega Nui and one at Bendega Rato. Bendega Estate includes a staff of 17 who are available exclusively to our group throughout the week. The staff includes eight butlers, an on-site villa manager/concierge, a personal chef and a cook, a gardener, a pool keeper, three 24-hour security guards, and a driver who is available eight hours a day for nearby trips to the beach and shopping in Canggu and Seminyak. Please note that the villa is not within walking distance of the beach but can be reached via the driver. For guests who prefer to share a double room with a friend or be matched with a roommate, there are several different options. Two rooms have two twin beds each. Other rooms have one king bed, which can be shared by friends. Or a second bed can be brought in to the rooms with only one king bed so that each guest can have her own bed. Please note that at a size of 3' x 6', this second bed is slightly smaller than a standard twin size bed. Amanda will teach daily fitness classes, including her signature classes The Rope and The Dance that she offers at Studio B in New York City. During the retreat, guests will take a surf lesson at a beach ideal for beginners. Guests will also enjoy a downhill bike tour through Balinese villages as well as a yoga class taught by a local yogi. One day during the retreat, the group will travel to Ubud, a creative and artistic community near the mountains, visiting the Monkey Forest and having time to explore Ubud. One 60-minute massage and one 60-minute facial are included complimentary with the retreat and will be performed at Bendega Estate. Please note that the one massage and one facial can be substituted for two massages or two facials. A personal chef will prepare daily breakfasts at Bendega Estate as well as lunches and dinners throughout the week. One lunch and one dinner will be held at local restaurants in Bali. Guests can also explore various healthy cafes and restaurants in Canggu, including In the RAW Bali, located within a three-minute walk of Bendega Estate and specializing in cold-pressed juice, smoothies, and wellness-focused food. Rates do not include airfare to and from Bali; round-trip transportation between Bali's airport and Bendega Estate; alcoholic beverages; one lunch and one dinner, which will be held at local restaurants in Bali; additional spa treatments or supplemental activities; or gratuities for spa therapists or staff. We have a limited number of spaces available, so reserve your spot by emailing us at info@fitandflygirl.com.